Branding involves the trademark development and registration, advertising and special package. 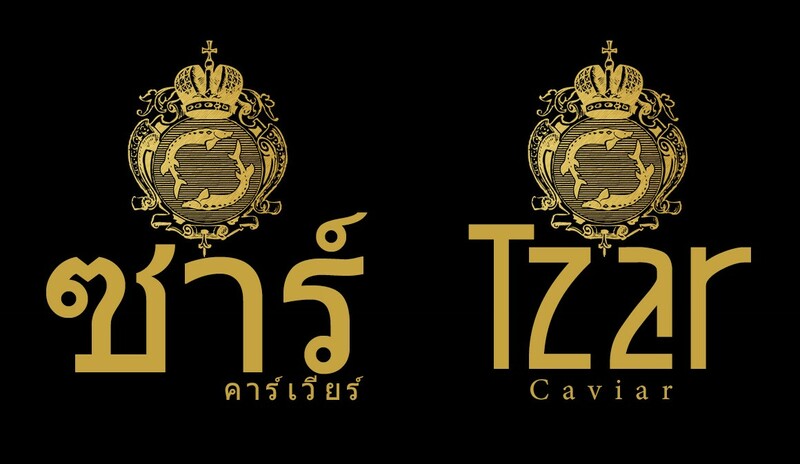 The black caviar from the farm will be sold under the specially-created brand «Tzar Caviar». The idea of the trademark graphical design is presented below in English and Thai versions. Designers will develop the trademark based on this idea. For retail sale the products are packed in a glass jar. The standard quality caviar is pasteurized and packed in a tin-covered jar. The fresher and the higher quality caviar is sold non-pasteurized. The processing department watches the expiration date of the products so there is always an opportunity to change it, pasteurize and repack the caviar to a simpler container. Non-pasteurized caviar is sold in a glass packing with the special covers: one of them has epaulet, the other one has orb.